Happy Thanksgiving, everyone! 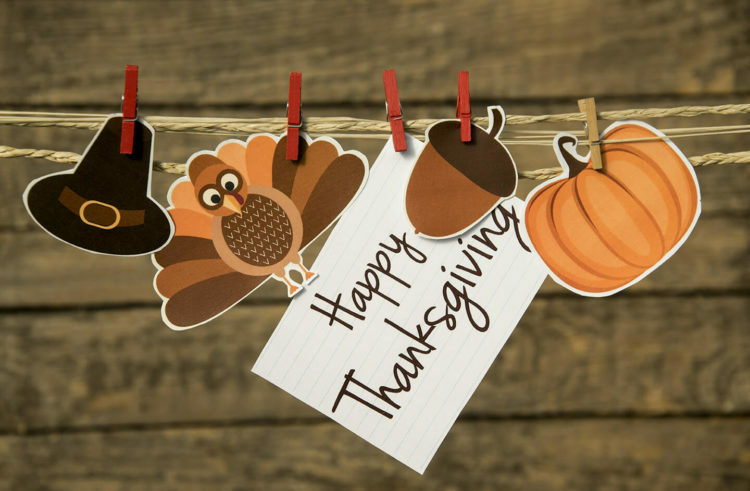 We hope you enjoy the holiday with the people you love, eating turkey, and watching some great football games! The car accident lawyers at de Lachica Law Firm, PLLC, just wants to remind everyone that Thanksgiving is one of the heaviest travel holidays of the year. In fact, according to AAA, 48.7 million travelers are expected to travel at least 50 miles this holiday, which is a 2 percent increase over last year. And out of all those travelers, 89 percent will be driving to their destination. You know what that means…the risk for car accidents will be at an all time high. Don’t drive drowsy, distracted, or drunk. Put down that cell phone; you want to stay alert and pay attention to the road at all times. If the turkey is making you sleepy, get some coffee into your system or take a small nap before heading out. And skip the wine this time around. Expect some delays and traffic jams, so you may experience some road rage. Before flying off the handle, take a moment to breathe and calm down. It’s not worth getting upset about. Kids driving you up the wall? Make sure you have plenty of distractions for them, such as books, video games, and movies. Especially if you’re going to be in the car for a long time. Remember, they can become a distraction as well. Have a wonderful holiday, everyone! And remember, if you get into a car accident this holiday season, you’re going to need legal assistance. Contact the Houston car accident lawyers at de Lachica Law Firm, PLLC, for a free consultation.